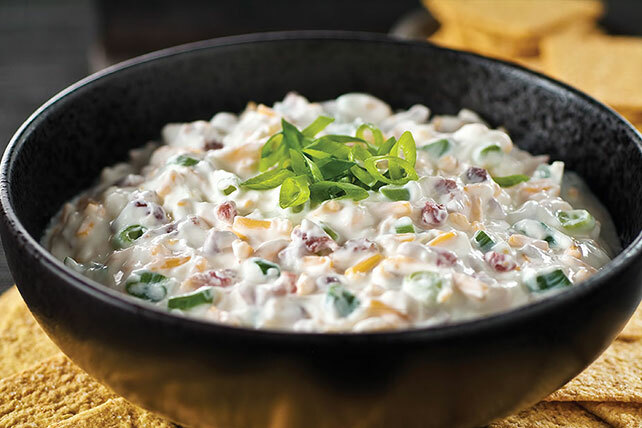 Make a creamy, hearty Bacon-Cheddar Dip with bacon, cheddar & sour cream. This version of Bacon-Cheddar Dip means you can stick to your smart eating plan. Mix all ingredients except crackers. Garnish with additional sliced green onions. Serve with thin wheat snack crackers. Makes 18 servings, 2 Tbsp. dip.